Vitrazza is the premium alternative to worn-out plastic chair mats. Made of super-strong glass, a Vitrazza Glass Chair Mat will hold over 1,000lbs, so they never dent. You'll glide on smooth glass. 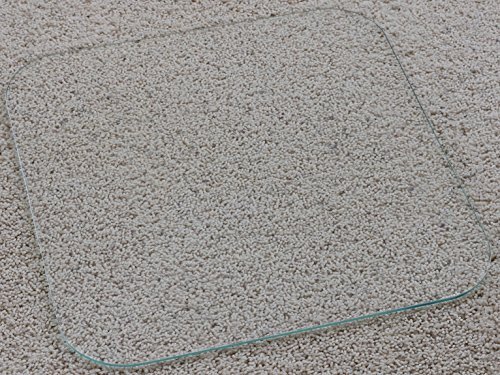 And clear Glass Chair Mats are beautiful - with polished edges, a mini-bevel and rounded corners. With your order you'll get the Vitrazza Care Envelope with handling tips, our 'easy-lift' tool, 2 sets of Stabil-a-dotsTM (rubber bumpers) as well as our 10-Year Warranty! Good on All Carpets, Tile and Wood Floors. If you have any questions about this product by Vitrazza, contact us by completing and submitting the form below. If you are looking for a specif part number, please include it with your message.